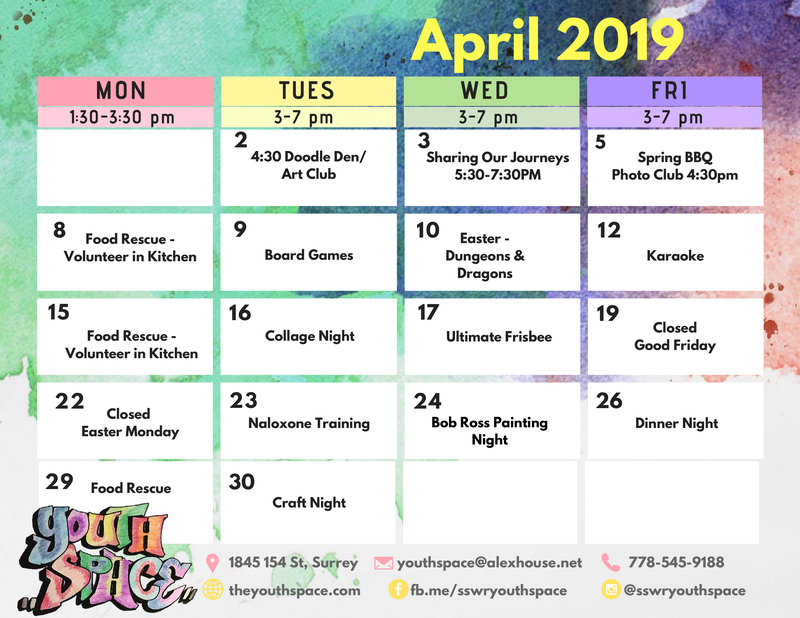 Visit the Youth Space website. To see the Wishlist and donation package, click here. Youth in the South Surrey / White Rock area take on a lot in their day to day lives, like mental health issues, addictions, social isolation and boredom. The Youth Collective’s mission is to bring community awareness to these issues, and tackle these challenges headfirst. To do so, they have taken charge with an innovative project, called The Youth Space, working to address the needs of youth by building their strength and creativity. We envision the Youth Space to be a safe, welcoming and friendly place for all youth to create a real future for themselves. This is a space that is led by youth for youth; is a place to connect; gain life skills; to inspire and be inspired; to help youth discover their passions; develop leadership skills as we will be running the space; gain employment skills; get help for personal problems; plan events and activities; and connect with community. The only way the youth space will be successful is if the youth are the ones leading it. Since many youth are skeptical about adults, they lack the trust that they need to change. But if a friend that is a youth says to them “hey, I know this really cool place where we can relax and meet new people” then the youth would feel more inclined to join their friend to this new place. 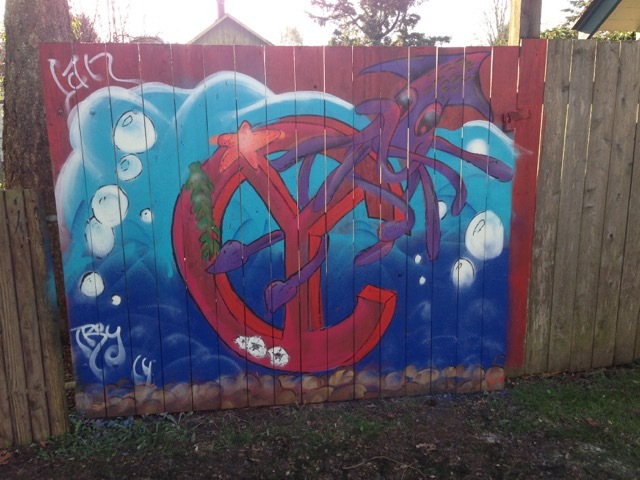 "The Youth Space provided me with support and a sense of belonging in my neighbourhood. It became a type of relief for the disorder in my life and gave me an inclusive place to express myself… and I’m so happy I got to make all these cool friends who didn’t make me feel awkward and like an outsider." Lastly, thank you so much to our dedicated volunteers, supportive community partners, and generous donors for all your support and encouragement. It’s an honour to have you all believe in our mission, and what the Youth Space can achieve for South Surrey/White Rock. It’s your encouragement and support that inspire us to continue working towards positive change in our community. 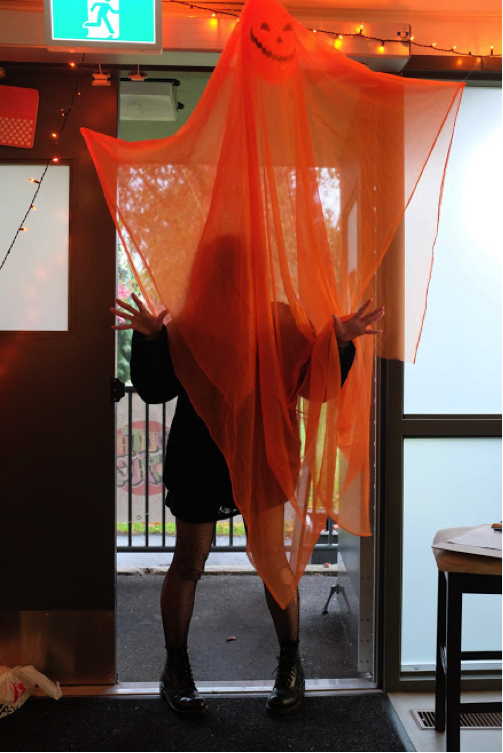 The Youth Space has seen quite a few changes this fall and has had some exciting events. The Youth Space team recently added Neema Samimi as the new Youth Space Coordinator, and hired Laura and Aliesha as the new Youth Activity Workers as part of the team to serve and work alongside the youth of South Surrey and White Rock. 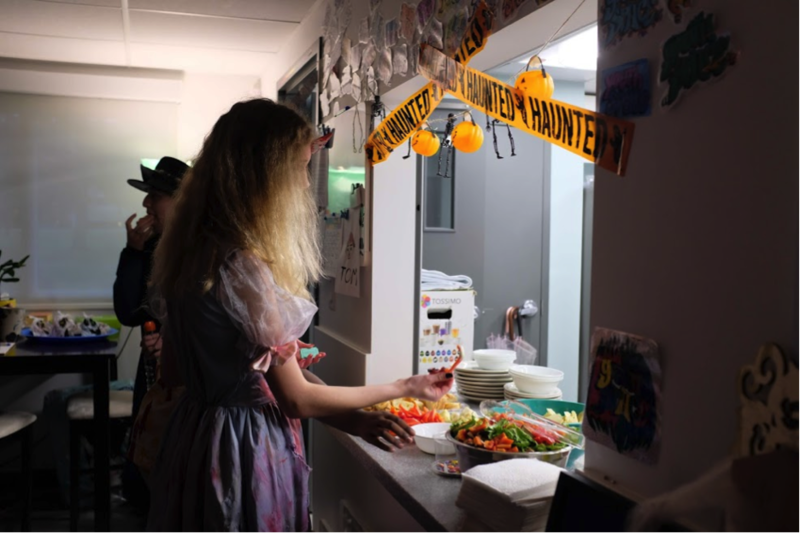 Halloween is a festive event and with the valued input of the youth driven Youth Collective group we hosted an exciting Halloween bash. 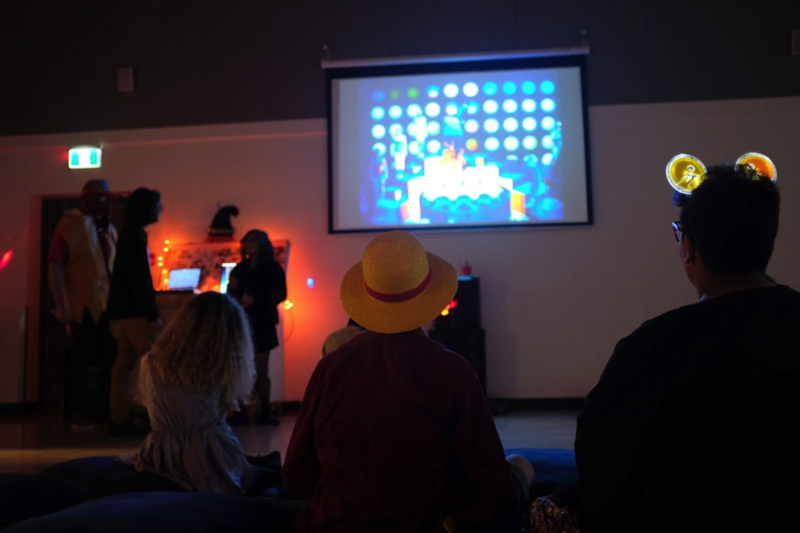 It was a day with lots of candy and the youth were able to plan and enjoy a scavenger hunt, a piñata full of candy, a creative costume contest and a movie night. Another exciting event that was hosted at the Youth Space was a Clothing Swap. As the seasons change it’s really important to help the youth have access to warm and fashionable clothes. During the month of November one youth took on the task of hosting a live DJ show. With the support of resident DJ, DJ Cuzo (aka Jordan) and the youth’s initiative and enthusiasm, the performance was put together. Jordan, a valued team member of the Youth Space is a professional DJ and every Wednesday he spends time with the youth to guide and teach them the skill of DJing. Also in November we hosted a Cultural Dinner Night, celebrating the diversity of our community. With the support of a Harj from the Ministry of Child and Family Development, and in celebration of Diwali, Harj volunteered her time to share a traditional meal in Indian culture. To host this event, the Youth Space is very much appreciative of the support of all community partners. The generous support of Nature’s Fare to provide nutritious organic food that the youth can cook and eat is truly appreciated. Nature’s Fare not only provides produce that we use in a variety of ways for snacks and meals, but also showed their support in sponsoring items for the Indian Cultural Dinner Night. To see our video, click here. The Youth Space feels like a family, especially when we sit down to share a meal together. Screens off, everyone pitches in, and we get to explore different cultures through our plates and with special guests (community volunteers who help us cook and share their experiences with us.) January we’ll be celebrating Lunar New Year with dumplings from China. But the food has to come from somewhere. We’ve begun a beautiful partnership with Nature’s Fare and every week they give us a few boxes of rescued food- food that is still edible, but because of some small imperfection - a bruised peach / wrinkly peppers – was destined for the landfill. Instead now those bruised peaches and wrinkly peppers come to us, and we’re able to provide healthy, organic snacks to participants in the space, while reducing the amount of food that ends up going to waste. Some of the extras even go home with some of the youth and they’re able to stretch their dollars further. We also pick up weekly from Sources Food Bank where we receive bread, bagels and occasionally some sweets. The Youth Space is located in Bakerview Park, at 1845 154 St.